I maybe one of the few guys in the world that actually likes his Mother in Law (and I’m not just saying that cuz she reads this 😉 ). I am truly blessed to have a wonderful MIL, so I was thrilled when I heard Mamacita (that’s what Mrs. G and her sister call her) was coming to spend the weekend with us. I knew that I would probably end up cooking for here one night on the Egg, but before I could put any thought into what I should cook her, Mrs. G told me that pizza had been requested. Easy enough. When it comes to pizza, I’m a meat kinda guy. Yeah, I’ll tolerate a veggie or two if it will make the wife happy, but if I’m ordering for myself, nothing but meat will touch my pie. Interestingly enough, I’ve never made a meat lovers pizza before. Not really sure why, but I decided to fix that this weekend. Mmmmm…..look at all that porky goodness! 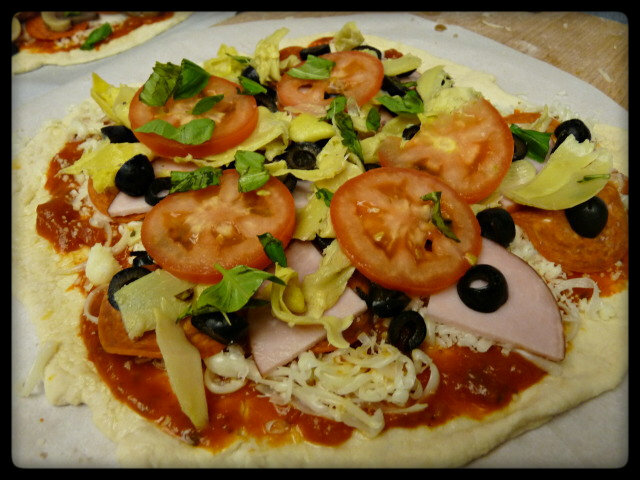 What with running around with the girls, shopping and eating lunch and that kind of stuff, I didn’t have time (or energy) to make home-made dough or sauce, so these pizzas were made the easy way using Buitoni’s sauce and Tom Thumb’s (or Randall’s or Safeway) dough. Most grocery stores now carry pizza dough, but if yours does not, you can always try a local Mom and Pop Italian Restaurant. They’ll usually sell you a ball of dough (and sauce if you want). You can usually expect to pay less than $2 for it and its a great way to start making your own pizzas if you are worried about making dough yourself. To top my pizza, I spread a thin layer of sauce down on the dough and then topped it with freshly grated mozzarella cheese. This is important. I know you are tempted to buy the pre-grated stuff. Don’t! And I’ve got a few reasons for saying that. One, you save money. Its cheaper to buy blocks of cheese than the pre-shredded stuff. Two, it lasts longer without spoiling. Three, pre-shredded stuff is coated with an additive to keep it from clumping and to prevent mold. 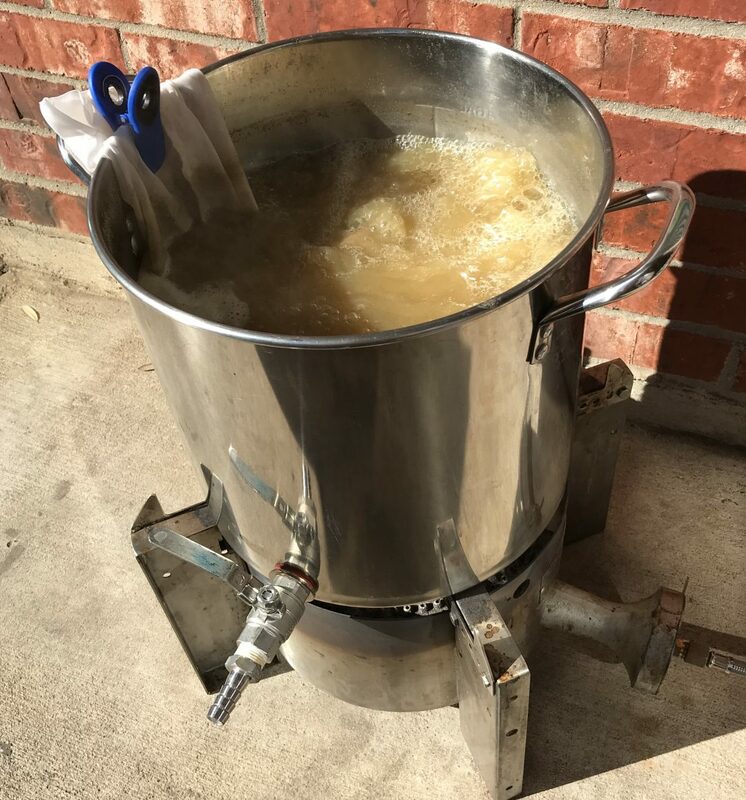 This is often cellulose, potato starch or even wood pulp (that has been processed with who knows what) all of which could be a problem for people who are sensitive to gluten. And finally, blocks of cheese melt smoother and taste better than the pre-shredded stuff (as a result of not containing those additives). Don’t believe me? Look it up or try them side by side and let me know what you think. Next, its time to move on to the actual toppings. 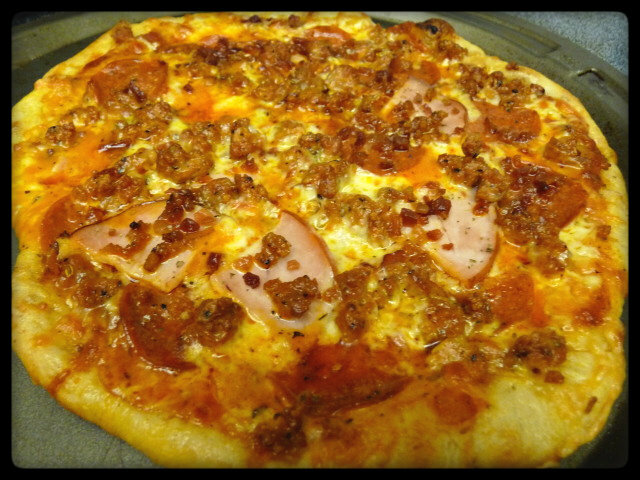 I chose to use pepperoni, Canadian bacon, Italian sausage and bacon. 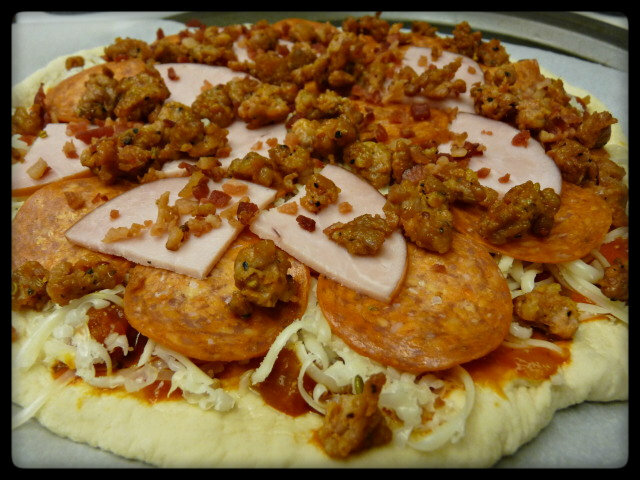 Pork topped with pork topped with pork topped with pork…..how could that not be good? Eat your heart out P.E.T.A.!! For baking the pizzas, I went with our standard method. Big Green Egg heated to 550F, place setter legs down, spacers and then the BGE pizza stone. 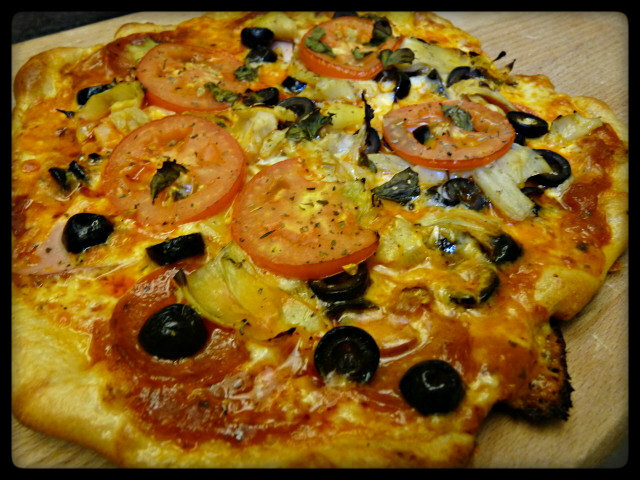 The pizzas were slid onto the pizza stone with parchment paper. 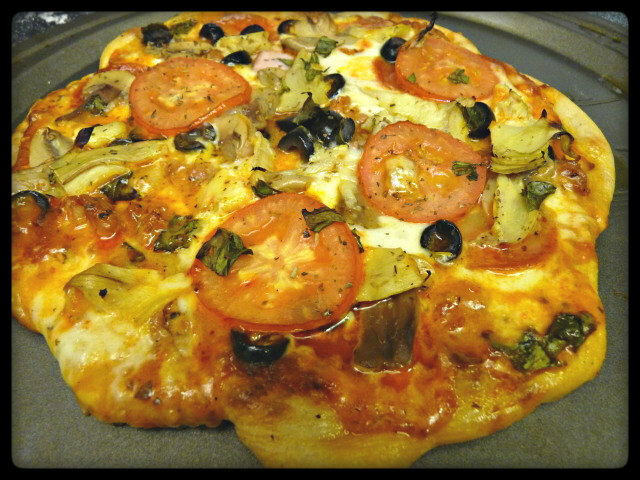 After 2 minutes, slide the parchment paper out from under the pizza stone. Three minutes later, turn the pizza 180 degrees and cook for another 5 minutes (10 in total) or until the pizzas are done. 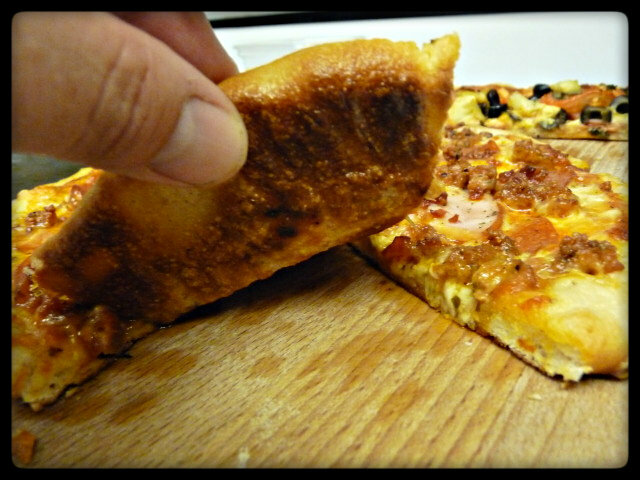 Olive oil can be brushed on the crust half way through to help it achieve a nice golden brown. Although I prefer minimal veggies (or none at all), it seems the ladies did not feel the same way as I do and had to have some on their pizzas. 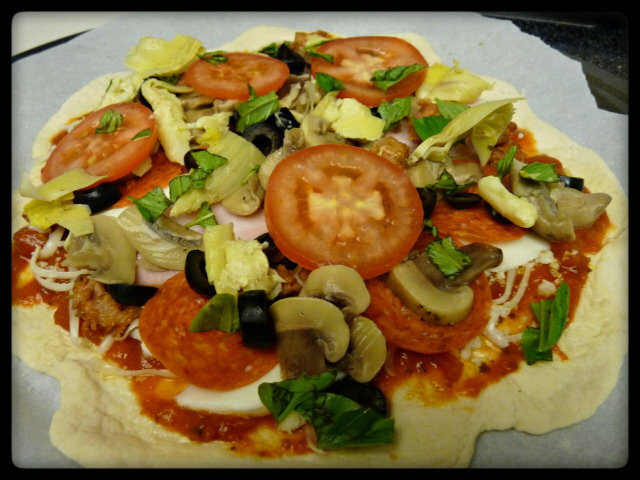 Mamacita opted for some pepperoni, Canadian bacon, artichokes, black olives, tomatoes and some fresh basil from our garden. Way too much healthy stuff for me, but then again, this wasn’t my pizza. And then Mrs. G also made her own pizza. She topped hers with Buffalo mozzarella, shredded mozzarella, pepperoni, Italian sausage, artichokes, black olives, mushrooms, tomatoes and fresh basil. The great thing about making pizzas at home is that you can make individual pizzas and let each person top them however they want. They can make a cheese pizza or keep it simple with a single topping. You can go all meat, all veggie or throw everything in the fridge on them. You can roll them out super thin and go for a crispy crust, or go with a thick crust. There’s no wrong way to do it when you make them yourself. 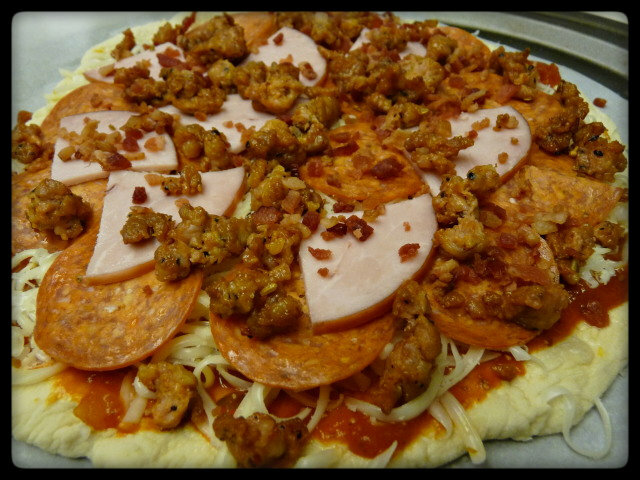 So what is your favorite way to top your pizza? Mate…you so gotta make your own dough…. I know, I know and I have plenty of times. This was just one of those times when I didn’t have the time to tackle it. I even bouoght bread flour this past week for attempt 2 at New York style pizza dough. Hey CC Mom, WE’ve got a coupla those cheap box graters that work ok, but this time, since I was grating a whole block at once, I just used the blade for grating in our food processor. Grated the whole block in like 15 seconds. Yeah, it’s more of a hassle to clean up, but it was worth it to not grate it by hand. I recently had a pizza with scrapple (a Mid-Atlantic state meat product) and topped with fried, runny eggs. Delicious! The perfect drunk food. I’ve heard of scrapple, but never had it. Kinda scares me, but I’ll try anything once. Oh gosh, these look amazing. My boyfriend is going to LOVE the pork one. Also, just wanted to let you know that I really enjoy this blog, and as such have nominated it for the “One Lovely Blog Award”: http://mandaray.wordpress.com/2012/09/11/one-lovely-blog-award/. Thank you for all the great recipes! Also, these look awesome. I am now hungry.